Silent Norco Racing is gearing up to race hard, and has set some demanding goals for 2012. The team will be focused on both Downhill and Cross Country racing in Ontario and nationwide. We have an exciting lineup, that's grown significantly this year. Returning are Jeff Faulds, Tom Kakamousias, Mike Hermanovsky, David Klaver, Rob Carmichael, and Forrest Groves. New for 2012: Taylor Rowlands, Shane Joachim, Monika Luebke, Anton Urtan, and Steve Hayes are joining us. Silent Sports in North York will again be providing support and service to the SNR Team. 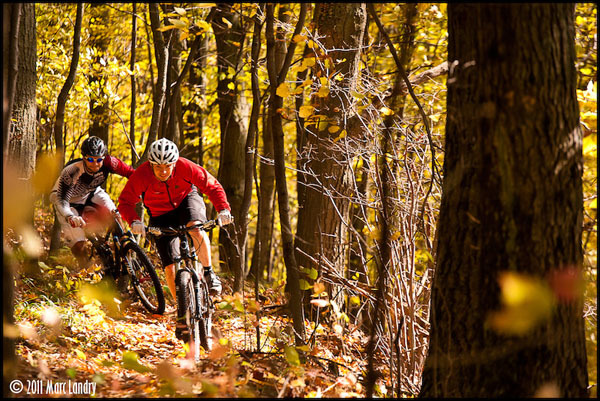 They are one of the best bike shops in Ontario and your “go to” source for everything cycling related. They also carry and provide windsurfing, kite boarding and XC ski equipment and service. The team will be riding Norco bicycles; whose 2012 lineup is incredible and provides the perfect tools for winning races. The smooth ride, easy maintainability and reliability are all aspects we're looking forward to. All the bikes will be equipped with Shimano components, which are the most reliable and best performing on the market, we wouldn't want to run anything else. 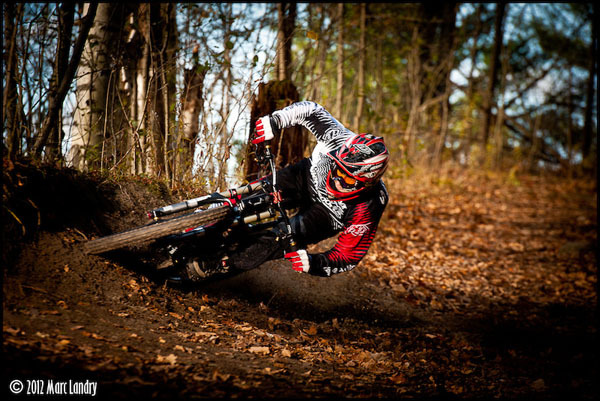 Troy Lee Designs will be hooking us up with their durable and trendy apparel, safety gear and race kits. We find their products are the finest, enough said. Joyride 150 Indoor Bike Park in Markham is supporting the SNR team with the opportunity to train and prepare in the off season. Joyride is an incredible facility where we can practice riding skills all winter long and get fit and stay sharp in their spin studio/gym. With such a fantastic lineup of sponsors, SNR is positioned for our best season yet. Jeff's dedication, technical expertise, unmatched enthusiasm and success in many cycling disciplines make him a perfect fit for a leading role on our team. Not only has Jeff found success on the race circuit, you will find Jeff teaching lessons at Joyride150, volunteering his time at trail building events, organizing mountain bike events, standing behind the lens, working with the OCA to help promote the sport, coaching at riding clinics, or helping a young kid shred at a wicked riding location somewhere in Ontario. Jeff will continue to play a key role with the Team as manager for 2012. He will help the team as the onsite mechanic fixing any mechanicals and doing tune ups at home between races. He will be working with the riders to develop their skills and coach them throughout the race season. While doing this, Jeff will also be working hard on racing himself and working towards his goals of winning the O-Cup overall and working his way up through the ranks in the XC series. 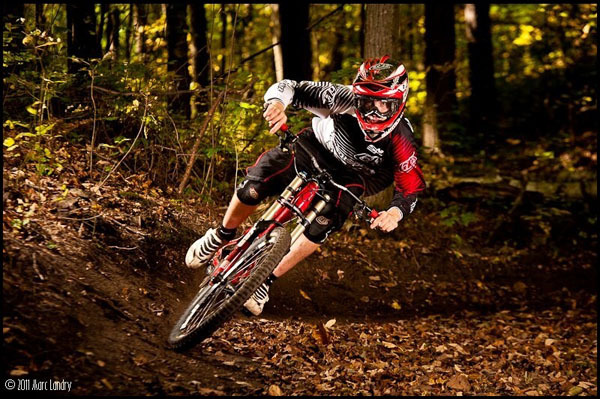 Tom is an avid mountain biker and competitive racer. Throughout his years of racing, Tom has found a perfect balance between having fun on his bike and successful race results. 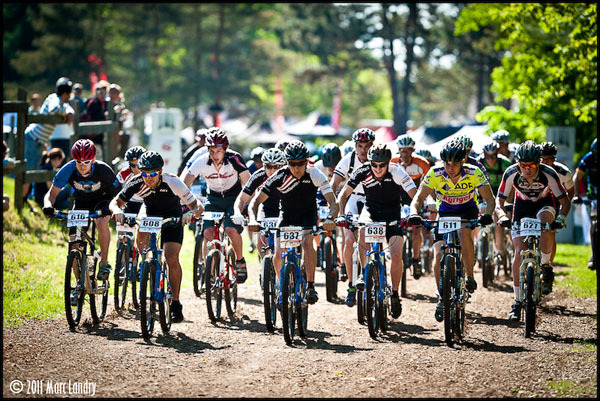 During the summer, Tom has also been seen coaching at the Ontario MTB festival held at Kelso Conservation Area. His interest in all aspects of mountain biking has exposed him to multiple disciplines, while also making him a great all around rider. He will be using his race experience from all the racing he has done across the country and put it to good use next season. Tom's mechanical knowledge from his time working at Silent Sports will be an asset to the team through season. 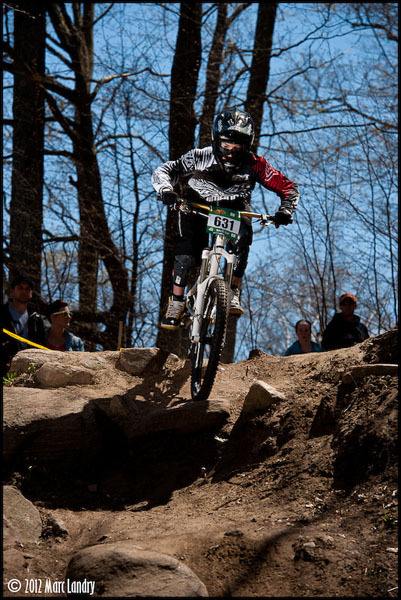 For the 2012 season, Tom has his sights set on attaining a top ranking in the Ontario Cup DH circuit as well as hitting a few XC podiums in hopes of future upgrades into the Elite category for XC. He will be at Joyride 150 Indoor Bike Park a lot this winter with the rest of the team training. 2012 will be Tom's year. 2011 has been Mike Hermanovsky's most successful season by far, which is only a forecast for seasons to come. Mike trains hard, is extremely motivated, and has goals which encompass all aspects of performance ranging from race results all the way down to small training goals. Mike has experienced success in both downhill and cross country racing, placing 1st in two downhill races and 1st in two cross country races (Expert and Sport respectively). Mike has fairly extravagant plans for the 2012 race season. He plans to attend all downhill and cross country Ontario Cups while attending the Canada Cups in the East Coast. He will increase the intensity of his training throughout the winter months with the hopes of upgrading to the Elite Men's XC category within the first 3 O-Cups. 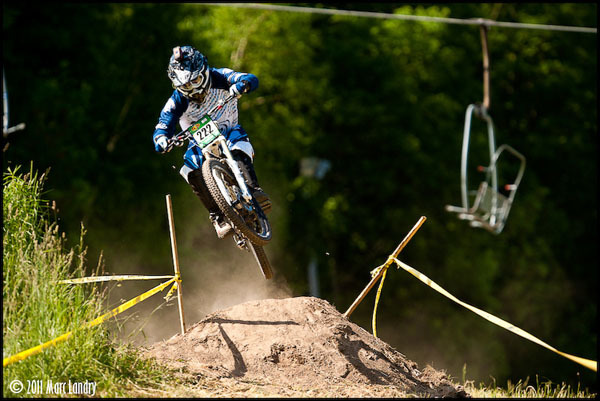 2012 will be another exciting season for Mike Hermanovsky, since he is aiming to be a contender once again in the XC and DH O-cups. 2011 was a big year for me; it was my first year racing Senior Elite DH and also my first year racing XC. My goals for the 2011 season were to finish inside the top 10 at every O-Cup. I did not meet this goal, however, my season was in no way a failure. I have learned from the mistakes I have made, and will make sure they don't happen again. These mistakes have sometimes prevented me from finishing races or performing my best. What I'm taking in school is also a benefit for me and the members of the team, because it gives me knowledge of proper training, nutrition, anatomy and physiology etc. The 2011 season also exceeded my goals in the areas of XC racing. I went into my first race just hoping to finish. I had never even owned or ridden a proper XC bike or even XC gear. I didn't even do any training to prepare me for the demands of XC racing. Despite all this, I still managed 3rd at my first race and 1st at my second race. Soon after our team upgraded to Senior Expert, and had some decent results there. I believe I have lots of potential in XC, and I can't wait for the 2012 season. My downhill riding has also progressed, so much to look forward to. For the 2012 season my goals are again to be within the top 10 for DH and also make some appearances on the podium, for XC top 5 finishes and podiums. To achieve these goals I am going to work out as much as possible and eat well. Also do lots of XC riding, DH riding, dirt jumping and pump track riding. During the winter months do some snowboarding and go to Joyride Indoor Bike Park. Also, I will need to use what I have learned from the past, and not make the same silly mistakes that keep holding me back. Rob loves to ride his bike no matter what he's riding; from downhill to XC he always has fun doing it. But when it comes down to race time, Rob likes to get its done. In Rob's 2011 season he quickly found what works for him taking him to the podium more then 3 times and winning the overall series in Senior Expert. 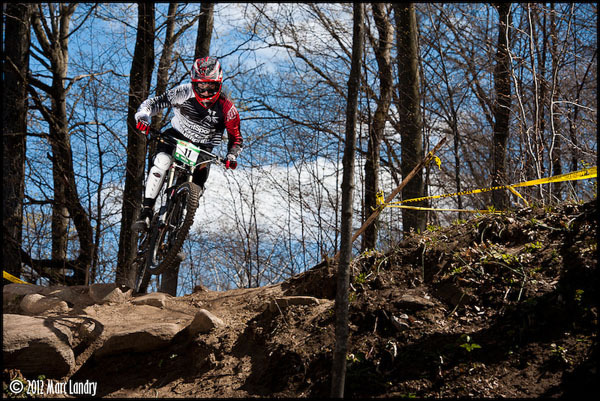 For the 2012 season Rob will continue to battle for the top spot in the Ontario Cup downhill series. 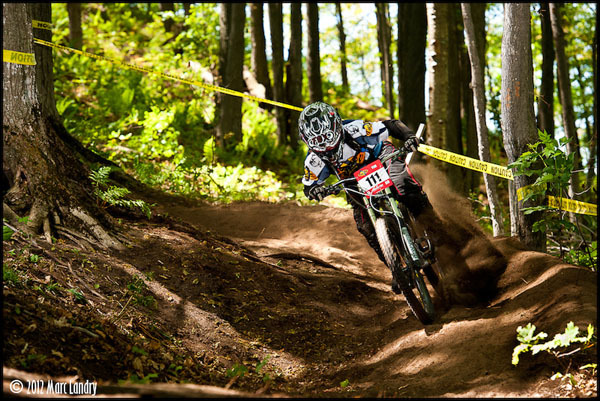 He will be at Joyride 150 Indoor Bike Park a lot this winter with the rest of the team training for 2012. 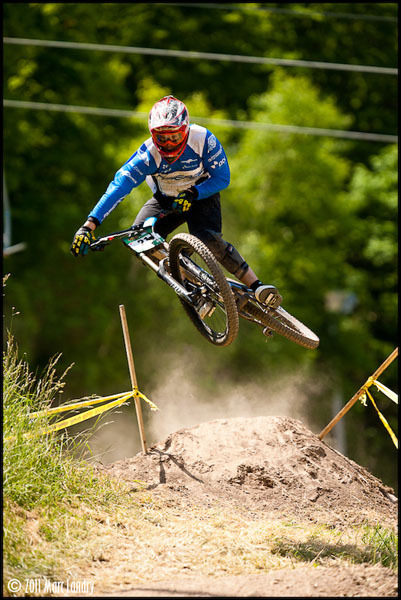 With the help of the team, Rob hopes to gain enough knowledge and skill to make the big leap into Elite downhill racing by the end of 2012. Anton is an avid mountain biker and competitive racer. Throughout his years of riding, Anton has discovered the fun challenges it takes to win and has developed an ambition to ride well and race fast. He brings a positive attitude and always has the initiative to help others out all the time. During the summer, Anton has also been seen coaching at the Ontario MTB festival held at Kelso Conservation Area and spends a lot of time building at his local training grounds. Anton is always looking to improve his skills and accept new challenges on his bike. 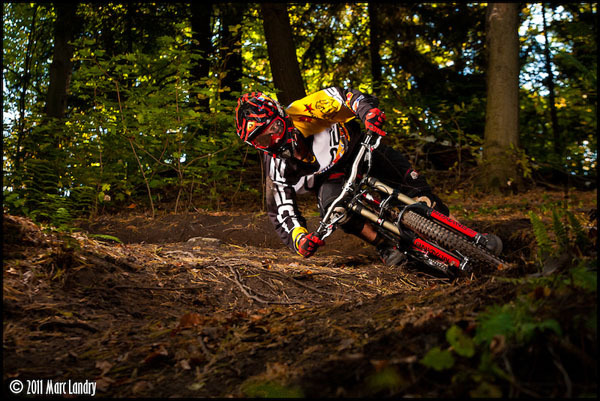 For the 2012 season, Anton will be racing as a Junior Expert in DH and a Junior Sport in XC. He has his sights set on attaining a top ranking in the Ontario Cup DH circuit ,while racing the full Canada Cup DH circuit, as well as racing the Ontario XC circuit. He will be at Joyride 150 Indoor Bike Park a lot this winter with the rest of the team training. Anton will also be involved in a High Performance Athlete program through school, allowing him more time to train and race in the spring semester. For 2012 Anton will be having a break out year. Shane is Ontario Downhill. You can't be at any event without seeing him and without talking to him. Shane makes a point to say hi and help out anyone he possibly can. He is a true ambassador of the sport and everyone's best friend. Here is what he had to say about his new spot on the SNR Team. “I like Norco's commitment to continually develop a cutting edge bicycle. I believe that Norco's Engineered Technology Platforms for 2012 will give me the most agile, fast and efficient bicycles to race and ride. The opportunity to ride such a well engineered frame is going to make the 2012 season, my best year of racing to date. Monika is one of the top female racers in Ontario. She is also a great ambassador of the sport, always helping out other female riders get comfortable and up to speed. She is also looking at going back to her roots and trying a few XC races again this year. Here is what she had to say. “Over the years I've learned that nothing beats training with friends, learning from each other and celebrating each success together, no matter what size. Being a part of the SNR Team is exactly the type of support I am looking for. Aside from developing great friendships, it's going to give me the opportunity to learn more about bike maintenance and repair, promote the sport and learn from some top of the line riders. Taylor is a passionate cyclist. If he is not riding downhill at Blue Mountain, he can be found on his trail bike riding XC all around the Collingwood area. Being a local to Blue allows Taylor to ride his downhill bike 7 days a week with lift access, some days it's only a run or two on his lunch break, but he is always hitting the trails. Taylor is a downhiller through and through and will be once again focusing on downhill racing this year. For 2012 Taylor will be focusing on Canada Cups and racing as many Ontario Cups in between. Taylor is motivated and working hard towards solid results in 2012. Forrest is the youngest rider on the team, but has no less passion or skill on the bike. Forrest was riding downhill long before he was even of age to race. He is also big into all action sports from motocross, snow cross, snowboarding, jet skiing, and more. Forrest is right at home when it's fast and dangerous. For 2012 Forrest is looking at taking his racing to the next level. He will be racing in cadet for his 2nd year but with a December birthday, will still be younger than most of his competition. This extra challenge is what drives him to push even harder. Forrest is looking learn from the experience and skill of his teammates and get some podium action from it. Steve lives and breathes bikes. 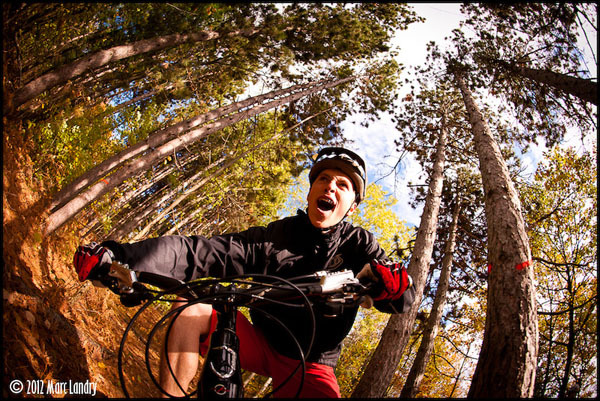 Over the years he has learned much about what it takes to be a part of the Ontario riding community; whether that means helping out on any given day with a trail build, photographing an epic ride, giving it his all during a race weekend, or just going out and having fun on two wheels with everyone. Steve is always eager to learn and improve his own riding while keeping a positive and competitive attitude. 2012 will be Steve's 3rd season as a part of the Ontario Cup DH circuit, and will be racing in Senior Sport in DH with ambitions of upgrading to Senior Expert in the near future. He is also hoping to test his skills out in the Mont Tremblant Canada Cup this year. This winter, Steve will be splitting his time between the gym and Joyride 150 to give him the training he needs to reach his goals.